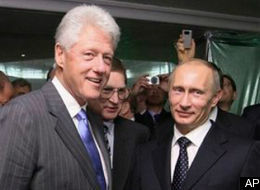 Bill and Vlad meeting in Davos! 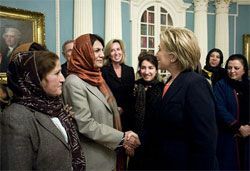 Finally, there’s some HOPE in the World!- The Clintons go about building bridges with countries formerly insulted and snubbed by the Bush Administration! It’s about damn time this country started making progress rather than the disfunctionality of a country caught in a turn of the century time warp. President Clinton’s arrival in Davos was well received by foreign leaders resulting in an intense late night discussion with Russian Prime Minister Vladimir Putin. The two met at a Sheraton Hotel where Putin reciprocated holding a private party after an early evening reception at a local museum hosted by President Clinton. Russian Foreign Minister Sergei Lavrov will meet with Secretary of State Clinton prior to the April G-20 Summit, when Barack Obama and Russian President Dmitry Medvedev will have their own face-to-face. Focused and determined; Will rakes Obama flip-flops, Biden and Obamamaniacs and praises Hillary! What do you mean by many different PUMAs? There are a lot of different PUMA Web sites and PUMA actions. There is still plenty of e-mailing and Web activity. We all have different Web sites and leaders. We all get along and agree on most things. My biggest thing is the need for primary reform…That’s probably not going to be a hot topic for a few years, but I’m working on it for down the road. 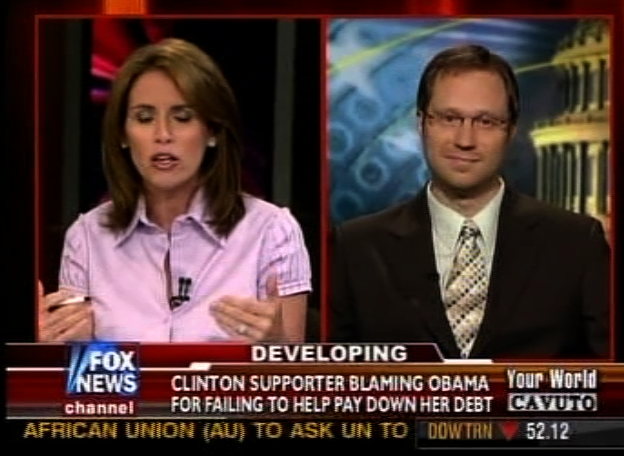 I’m working on lobbying the Republican National Committee to work on primary reform there … I want them to learn from the mistakes the Democrats made in 2008. The primacy of Iowa and New Hampshire–why are we held hostage by these two small states? It’s insanity. Are they not representative states? No, they’re really not. Everyone thinks Iowa has this really engaged citizenry and they know what they’re doing. But fewer than 10 percent of Iowa voters participate … Since 1972 the caucuses have failed Democrats at every turn. [Some people will say] Obama won Iowa and went on to win. Well, we’ll see in four years whether Iowa has really served us. It’s basically about who has the best ground game. Tell me more about your focus on primary reform. It took one state to determine who our candidate would be [in 2004]. I’m from Ohio and knew John Kerry would not win Ohio so I felt trapped by what Iowa had done to us … When I saw what happened in 2004 I wrote a proposal in December 2007 and that was published. Then Huffington Post picked it up. I want a truly mathematical, geometrical system … to order primaries based on margins of victory in the general election before … to focus on the Ohios, Pennsylvanias and Wisconsins and Floridas–the states right in the middle, the purple states. Parties go after those states anyway; we might as well tailor our primaries that way, to appeal to voters in those states instead of getting candidates who appeal to extremes, John Kerry on one side and George Bush on the other. Were you one of the PUMAs supporting McCain? I was … for a few reasons. I wanted McCain to win so I could go back to being a Democrat, so the behavior in the primaries would not be rewarded. I went on to genuinely like McCain. It gave me a chance to get outside of the Democrat bubble I’ve been living in. I’ve voted for 18 years and never voted for anything but Democrats. It started as a protest vote and I ended up liking and admiring John McCain. Now I call myself an independent Democrat kind of like Joe Lieberman. What in the world would possess a woman of Caroline’s stature to make such a fool of herself? Is she standing on the precipice of a nervous breakdown? Once the darling of Americans nationwide, it seems for reasons unknown (speculation doesn’t count) Caroline Kennedy Schlossberg is having her druthers in which direction to turn. Had Jackie been alive, she would have told Caroline “STAY AWAY” from the sewer of Politics. That was Jackie’s mandate for John Jr. She built an insular bubble around her children with what else….MONEY! Is that a sin… No, I don’t think so. Is it a smart thing to do? You bet it is. I doubt Caroline has ever given it a second thought how smart her mother was about the dirty game of Politics. Or how Jackie outwitted the political sewage at every turn because she cared so deeply for her children. I’ve said this before in anther post. Caroline ought to read a few biographies written about her mother. Jackie wasn’t just a women who appreciated the nice things money could buy, the museum benefit socializing crowd, the poetry, editing books, updating the White House decor. Jackie was a woman of the World. She didn’t have it easy, coming from a broken home torn between her mother and father. Learn from your mother Caroline, not from the political bent of man so out of step with morality he’s gone over the cliff. This is just the first time, you got to experience Uncle Teddy’s idea of a joy ride! Puma volunteers and concerned New Yorkers…. CONGRATULATIONS! You WERE MARVELOUS! You NEVER GAVE UP! tpt/NY and madam… you girls were GREAT! .Just Breaking; and seems to be complete surprise; Caroline withdraws her name from consideration for Senate bid, citing “personal reasons. Caro line Kennedy has told Gov. David Paterson that she is withdrawing her name from consideration to replace outgoing Sen. Hillary Rodham Clinton in the U.S. Senate, The Post has learned. Kennedy cited “persoal reasons,” according to sources. The 51-year-old Camelot daughter’s decision removes the highest-profile name in the ring to step into Clinton’s seat, as she departs after getting confirmed as President Obama’s Secretary of State today. The surprise decision leaves a crowded field of about 15 people, mostly elected officials, vying to replace Clinton – including Long Island Rep. Steve Israel, Nassau County Executive Tom Suozzi, upstate Rep. Kirsten Gillibrand and Rep. Carolyn Maloney. For the first time on Tuesday, shortly after Obama was inaugurated, Paterson acknowledged publicly that he is considering state Attorney General Andrew Cuomo for the slot. 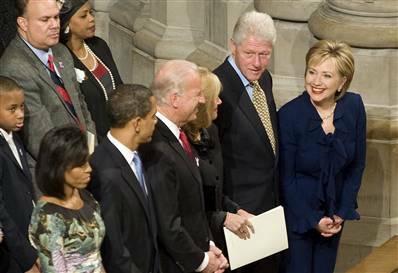 Immediately after the vote, Clinton was to be sworn in during a private ceremony at the Capitol. The Senate voted 94-2. The dissenting Republican Senators Bitter “Dave” Vitter of Louisiana and Jim “DeMented” DeMint from So. Carolina opposing. Senator McCain came to the rescue and called off the deliberate attempt of those irksome partisan Republican dogs threatening to stall Hillary’s confirmation. Thank you, John McCain! So, what is happening here? George Mitchell? Was he a last minute appointment. Who did he replace? Very interesting- the plot thickens. For the most important pressing question of the day. WHERE ARE PICTURES OF HILLARY IN HER INAUGURAL BALL GOWN? It seems there has been a total BLACKOUT of pictures of Hillary and Bill at the Inaugural Ball! 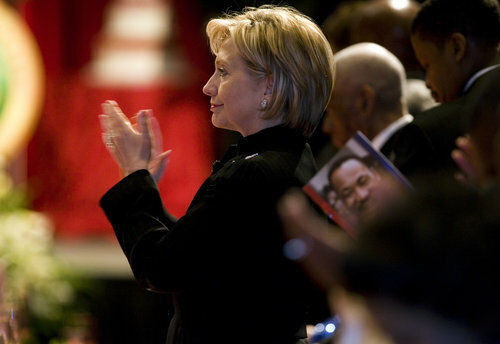 Salute to Greatness…for Hillary at King Center..
ATLANTA — Mere days before Barack Obama is set to make history as the nation’s first black president, the woman who battled him for the Democratic nomination was honored by a leading civil rights organization. 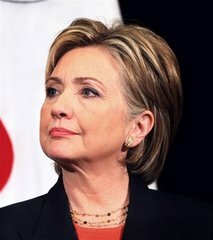 Hillary Rodham Clinton, U.S. senator from New York and secretary of state designee, received the “Salute to Greatness” award at a fundraiser Saturday night for the King Center in Atlanta. 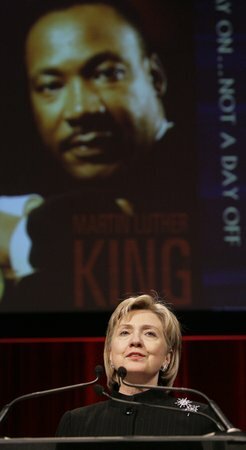 The event came just before the Martin Luther King Jr. holiday on Monday, marking what would have been the slain civil right’s leader’s 80th birthday.Clinton echoed King’s theme of service and called on Americans to rally behind Obama, the man who defeated her for the Democratic nomination for the White House. “This is an all hands on deck moment for America,” Clinton said. 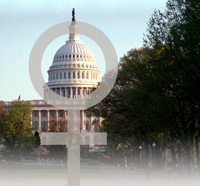 Clinton said.She said the nation still faces challenges in providing health care and economic opportunity to all. And she recalled being transfixed when at age 13 she heard King speak on a chilly January evening in Chicago. 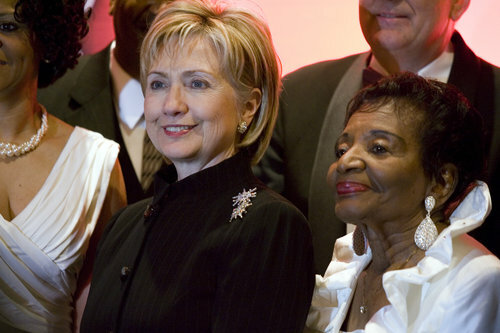 Clinton was introduced Saturday night by former Atlanta mayor and United Nations ambassador Andrew Young. Does anyone have any idea why we need Caroline Kennedy Schlossberg as an inexperienced Senator to represent New Yorkers? Suggestions requested! It seems to me Caroline benefits from the percs of being a Senator more than New Yorkers benefit from her taking up a seat she is unqualified to act upon. Isn’t what she is doing in direct contradiction to what her father said at his Inauguration Speech? Caroline has never done a ding, dang thing, except telemarket for donations before she hired someone to do that for her. And is it really in the best interest of the People of New York for a Senator and her entire family to have such close ties to a president that they may have to say “NO” to when legislative issues come about that are NOT in the best interests of the People? How do we know she has the capability to “Just Say No, Obama?” I believe that is a salient point that just doesn’t compute and New Yorkers need to respond in kind with their fears especially to the Governor, who under pressure from the TOP, is scheduled to appoint her! THUMBS DOWN for Caroline’s appointment to NY senate Seat..
Heres hoping Governor Paterson isn’t foolish enough to risk the anger and revenge of New Yorkers IF he appoints Caroline to Hillary’s seat! It’s not like Caroline, if she intends to involve herself in politics, would snub an offer of an Ambassadorship to England, would she? There would be a certain historical symmetry to Kennedy becoming Ambassador to the Court of St James’s (the official title of the US ambassador to the UK). Her grandfather Joe was ambassador from 1938 to 1940, though he hardly covered himself with glory. A successful stint in London by Caroline – and she seems admirably well-equipped for the job – would help remove the tarnish from that part of the Kennedy legacy. (Some insist Joe Kennedy was a Nazi sympathizer. I am not supporting the claim. 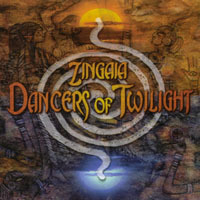 Just stating it exists.) Plus Caroline is living with the fact, it’s not just herspotty voting record. I have read that she has been very parsimonious in giving financial backing or any kind of public support to fellow NY democrats running for office over the years. For one who has shunned the public eye and shunned politics, who has no experience of actually running for office in any capacity, and who has done nothing for the State of New York (this is a Statewide office, not a New York City position) to presume that the job should be handed to her on a platter because she was born a Kennedy is not only ludicrous but insulting to those NY politicians who have labored for years for the party and the State. Let her go to London. At least she can do no harm. I am sure that she is qualified to host dinners and order flower arrangements and preside over affairs of state and lost X-Pats Passports without much trouble. Caroline can make a run at the NY Seat next year, that is if she’s really interested in representing the state’s electorate. I have to add, don’t you just love the fact that she has now dropped her married name? I guess Schlossburg doesn’t quite have the same cachet. If London isn’t quite good enough for Caroline, she should consult Joe (the former plumber) the War correspondent. He seems to have found the formula for winning over people simply because he can speak Truth to Power and really mean it. Marist College released a poll showing 40 percent of voters back Cuomo to succeed Hillary Rodham Clinton. Kennedy was favored by 25 percent; Nassau County Executive Thomas Suozzi, 6 percent, and Reps. Steve Israel (D-Huntington) and Carolyn Maloney (D-Manhattan), each 5 percent. Cuomo’s support has surged since a Marist poll last month showing Kennedy and him tied. In the new poll, 62 percent said Cuomo would do an excellent or good job as senator, while only 41 percent said the same of Kennedy.